Recently developer Compile Heart announced that Death end re;Quest had been delayed from March to April. While that news disappointed some fans, they’ll be glad to know that the studio just released a ton of screenshots showing off the role-playing game’s gameplay. There are over 30 images of gameplay footage, which means the game’s battle system gets to shine. It should look semi-familiar to those that have played the Neptunia games, as it shares some similarities in how it works. Compile Heart will be releasing the above swimsuit costumes as free DLC regardless of the status of the game’s pre-order campaign as an apology. 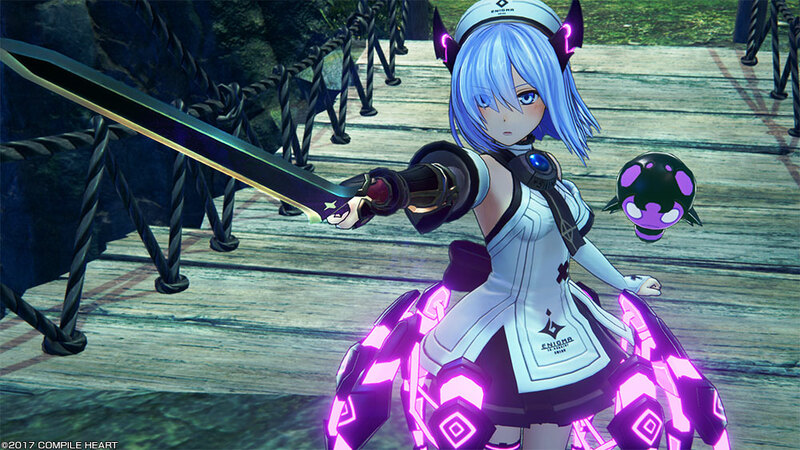 Regarding Death end re;Quest which was originally planned to be released on March 1, 2018, we have made a decision to change the release date to April 12, 2018, due to certain circumstances. As an apology for this change in release date, the Swimsuit Costume DLC, which was originally planned as the S rank reward for the pre-order campaign, will be given for free. We deeply apologize to not only customers who have been looking forward to this game’s release but also to related companies for the huge inconveniences caused by this, and we hope you will continue to support us with unchanged patronages. Death end re;Quest is set to release on April 12, 2018 for PlayStation 4. Let us know in the comments if you liked what you saw in the Death end re;Quest screenshots!